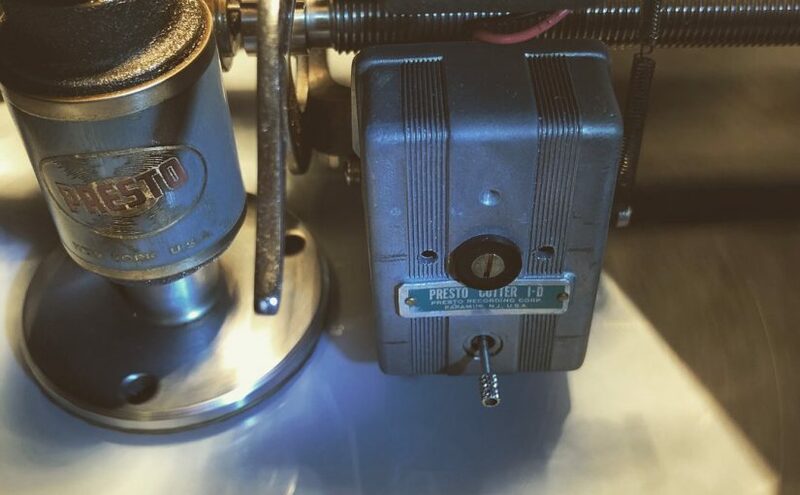 Our Lathe Cut Records are made by a real person, made one at a time, in real time, embossed into plastic using a presto 6n record lathe from the 1940s. They’re not pressed records, so they’re going to sound a bit different than the Fleetwood Mac – Rumours LP you found at Goodwill. They may have a bit of surface noise, will sound different from the master, and will be quieter than a regular record, maybe 75% of the volume. It’s not going to be audiophile, but it should sound pretty good for how it’s made. We test our cuts on 3 different turntables, and they should play fine on most models. If it won’t track or skates, you may need to adjust your tonearm weight. Due to the embossing process and the material of the record the grooves are shallower than a pressed record. Think of these records as a piece of art, we definitely put a lot of time and love into making them.